SONKA announced today that Escape Doodland is now available for the Nintendo Switch, published by QubicGames, and Steam, published by Ultimate Games. In this intense and insidiously difficult 2.5D platformer developed by flukyMachine, you will be eaten, burned, crushed, digested, shocked, slapped, poisoned or just fall down. Many times. The happy and joyful world of Doodland has changed forever. Omnomus, a cruel monster that loves the taste of Doodlers, is wreaking havoc and you have only two options: run as fast as you can or die. Created on a piece of paper, each part of Doodland is different and features a unique atmosphere full of demanding obstacles forcing players to run, jump, swim and fly to overcome them. Escape Doodland is the brainchild of just two visionaries: Veronika Harkavenko, who created the stunning graphics, and Piotr Karski, who did everything else. The project was successfully Kickstarted earlier this year. 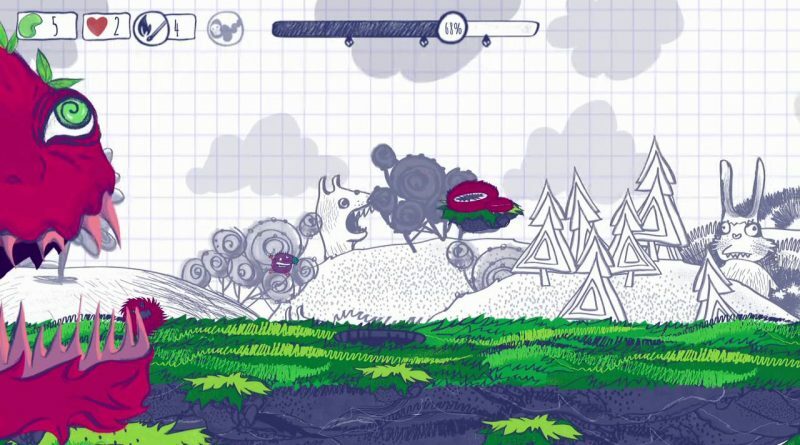 SONKA produced the Switch version of Escape Doodland and contributed to balancing the gameplay.